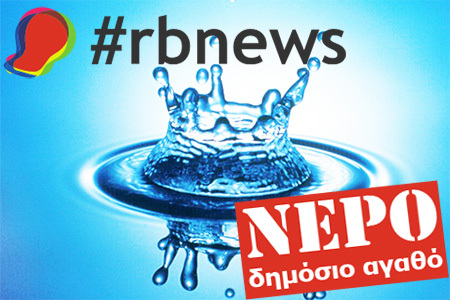 The following post is part of the @radiobubblenews research project on the privatization of water and sewerage companies in urban areas of Greece. 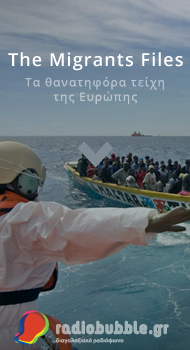 The project is funded by the Isvara Foundation. 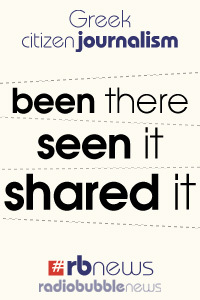 When Peter Bradeck, president of Nestlé, one of the largest companies of water bottling in the world, confessed on camera that water is not a human right, a global discussion on what is a social product nowadays and what could be privately exploited, finally started on a well deserved basis. 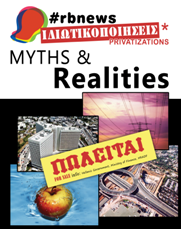 The privatization of the water supply in Greece almost always coexisted with financial crisis situations, empty State coffers and the immediate need for the State to get money from the private sector. Athens experienced a significant population increase in the late 19th century, so the requirement of an adequate water supply to cover its residents's needs grew rapidly as well. The Roman aqueduct of Hadrian (150 AD) was the only water supply infrastructure in Athens, the capital of a country facing such huge financial problems that almost all of its post-independence (1821 AD) reconstructions relied exclusively on fundraising and donations. In 1892, plans for an artificial lake in Marathon, an area approximately 44km northeast of Athens, were approved. However, the official bankruptcy of Greece in 1893, after the famous statement of Prime Minister Charilaos Trikoupis “Unfortunately we went bankrupt”, postponed its implementation for more than two decades. After 1889 Greece was under full financial control by its lenders and the State coffers were completely empty. Athens and especially its suburbs were facing a huge water shortage at the time. The antiquated Hadrian aqueduct and the unprecedented poverty that followed Greece’s bankruptcy led the government to seek a viable solution for the restoration of the water supply system, always in close contact with its creditors. The terms of the Greek bankruptcy were negotiated slowly by unstable governments, until Eleftherios Venizelos took the helm in 1925 and provided the solution that foreign investors were pursuing: the privatization of the water supply system of Athens. This was preceded by the bloody Disaster of Asia Minor after the Greek military expedition was defeated by the Young Turks led by Kemal Ataturk in territories that were then under Greek control on the eastern coast of Turkey. More than one million of impoverished refugees from Smyrna (Izmir) came to the Greek capital looking for a new beginning. The conditions that prevailed in the city were indescribable and the need for an immediate response to the problem of water supply and sanitation was enormous. After 1924, the Venizelos government proceeded with extensive overseas borrowing that exceeded 900 million gold francs, meaning that the annual burden on each individual Greek was almost equal to per capita income. In 1925 the Greek state signed a colonial contract with American company ULEN and the Bank of Athens, regarding the construction of water supply facilities in Athens. The agreement provided for the establishment of a new company named “Anonymous Greek Company of Athenian, Piraeus and Suburban Water”, with ULEN (50%) and Bank of Athens (50%) as its shareholders. Among other things, the contract specified that the price of water would be determined in such a way as to ensure sufficient income and revenues to pay for the cost of the operation and maintenance of water supply facilities. If this could not be achieved within one year, the government would be forced to increase the price of water immediately in order to reach the required amount . 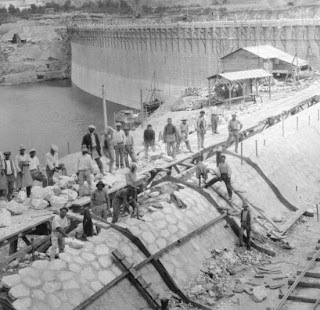 The main water supply system construction started in October 1926 and was completed in 1929. According to professor Pavlos Papanotis “the annual expenditure for every family regarding their water supply amounted to 1,500 drachmas, compared to 150 drachmas that was the hitherto subscription fee”. Moreover, “each client had to pay 600 to 700 drachmas to obtain a water meter, while it was forbidden for private plumbers to repair any damage caused” . It is worth noting that the average daily wage of a worker at the 1920s was about 10-15 drachmas, while the salary of a university professor in 1922 was 2,000 drachmas. In the early 1930s the artificial lake of Marathon covered the water supply needs for only one third of the total population of Athens. The majority of Athens residents used wells and boreholes of brackish water that was not drinkable to cover its needs. It wasn't until much later, during the 1980s and 1990s, that the sanitation system of Athens expanded to the suburbs. Water privatization of the mid 1920s wasn't the only case of massive expansion of private capital in Athens. A similar agreement regarding exclusive production and distribution of electricity was signed with the “Power and Traction Finance Company Ltd”, that also acquired the privilege of public transportation in Athens, as was also a deal with German private companies regarding telecommunications. Greece was the heaven of private investment from the 1893 bankruptcy until 1950. The hitherto nonexistent infrastructure of the expanding Greek capital were being built mostly by American, British, French and German interests, international partnerships, who secured excellent redemption features of exclusive exploitation of basic social products like electricity and water. Cases similar to ULEN in Athens can be found in other Greek cities, since Greece never had a national water supply system and water supply was always the domain of municipalities. A typical example is the city of Larissa where the first plans regarding water supply and electricity were made in late 19th century. In 1910 the “Electric and Water Supply Company Pinios” was founded, but because it lacked the required funds for the project, it sold the rights of exclusive water and electricity exploitation to the French company “Omnium Francais d’ Electricite”. The French company didn’t meet its obligations, the citizens of Larissa protested and finally “Omnium” went down. A new company was founded under the name “Water Supply and Electric Lighting Company of Larissa” (EIIL). Even though EIIL also lacked the required funds to proceed to the necessary works, the danger of diseases that reaped Larissa citizens (mostly abdominal typhus) ultimately forced them to solve the problem on their own. 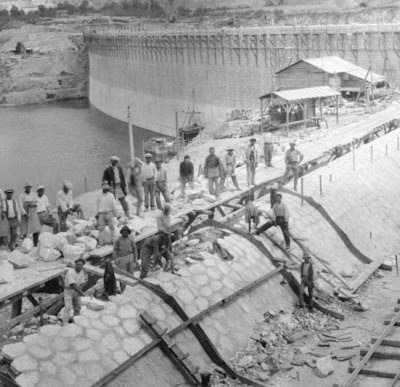 In October 1926 they began to construct the water supply projects on their own, after the unanimous decision of the municipal council to establish a consumer cooperative. Three years later, Eleftherios Venizelos praised them, while pushing the button that supplied water to all houses and stores of Larissa. The total cost of the construction reached the staggering amount of 20 million drachmas and was covered entirely by the residents of Larissa. The Greek state didn't pay a single drachma. Eleftherios Venizelos then made this noteworthy statement to Athenian journalists: “ Please write that water and electricity supply constructions were made only thanks to the financial support of locals, on the basis of a sui generis law forced and issued by the municipality of Larissa. 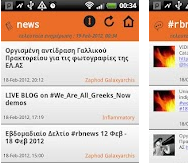 You should also call mayors of all Greek cities to use Larissa as a perfect example of how to run municipal projects” . During the next years EIIL doubled the per capita water supply and Larissa became the city with the highest per capita water consumption in provincial Greece. The initiative of Larissa residents more than 80 years ago is a model of how local communities should manage goods necessary for human life, like water and electricity. The case of Thessaloniki, the second largest city in Greece, is very much similar to that of Athens. The water supply facilities of the city were built under Ottoman rule in 1888 and the city’s water supply was bestowed by imperial order upon the Turkish businessman Hamdi Efendi, who founded a company relying on Belgian capital under the name “Ottoman Water Company of Thessaloniki” that operated alongside the municipal water supply system until 1939. There was thus an informal coexistence of both the private and public sectors in Thessaloniki’s water supply, as, after the big wave of Greek refugees caused by the destruction of Smyrna in 1922, the Belgian company manufactured an entire internal network of water supply. Three years earlier, the municipality had undertaken, for the first time ever, the chlorination of water cisterns and aqueducts in the city. In 1939 the “Organization of Thessaloniki Water Supply” (OYTH) was established. It bought the “Ottoman Water Company of Thessaloniki” and took over all water supply facilities. The transition from private ownership to the municipality was a relatively smooth process, something that also happened in Athens as it continued expanding (both in population and expected profits) many years later. 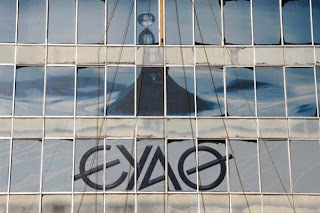 OYTH was renamed “Water Supply and sanitation Company of Thessaloniki” (EYATH) in 1998, after the merger of OYTH and OATH (Sanitation Organization of Thessaloniki). The grand plan of “nationalization of Greece” started in the early 1950s. The “Power” company that had the exclusivity of electricity production and distribution in Athens was redeemed by the Greek state and the “Public Power Corporation” (DEI). The same happened also with telecommunications with the “Greek Telecommunications Organization” (OTE) and other services such as transport and airlines. However water remained in private hands. The destruction of basic infrastructure during World War II and the retention of main water supply sources of Athens under private ownership by ULEN, caused various water shortage incidents in the city. Water was gradually redefined as social product in almost all European countries and this couldn't be different in Greece. It was only in 1974 that a full transfer of the water supply to the ownership of the “Greek Water Supply Company” (EEY) occurred, whereas in 1980 the institutional framework completely changed regarding water supply and sanitation in Athens, after the merger of EEY and OAP (Sanitation Organization of Athens) and the creation of the “Water Supply and Sanitation Of The Capital” (EYDAP). It is now EYDAP that, 33 years after its birth, along with EYATH, are being conveyed by the Greek State to the Hellenic Republic Asset Management Fund (HRADF, also known by its Greek acronym TAIPED) in order to be sold once again to the private sector.